Honourable Fahie is in Guadeloupe for a two-day meeting of the Heads of Government of the Organisation of Eastern Caribbean States (OECS), at which Guadeloupe, the French overseas region, will be formally inducted as an associate member of the sub-regional grouping. Premier Fahie met with the leaders over a special breakfast meeting early Thursday morning hosted by the President of the Regional Council of Guadeloupe, Mr. Ary Chalus. 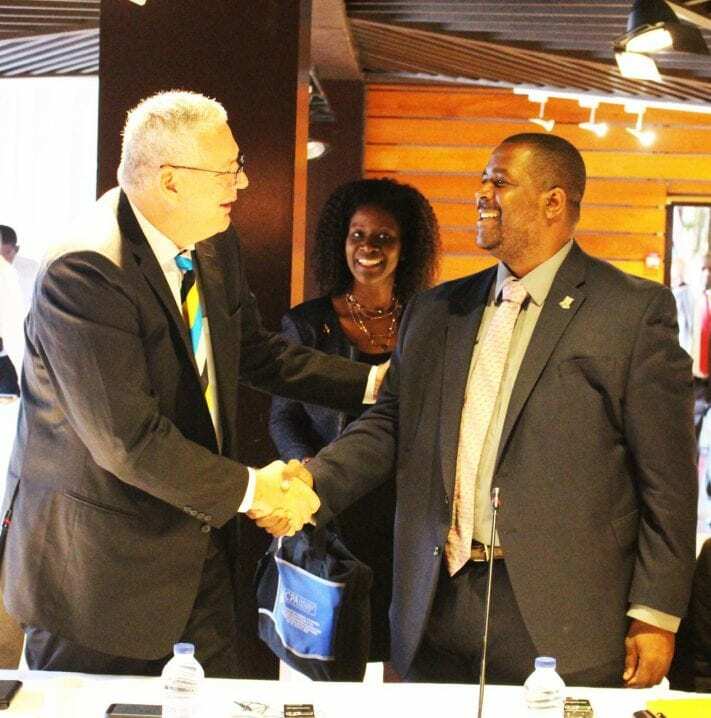 The Virgin Islands Premier was congratulated by all the leaders for the victory of the Virgin Islands Party, expressing best wishes and hopes for closer co-operation between the various islands. Honourable Fahie took the opportunity to personally thank the leaders for their show of solidarity and the assistance of their respective governments and people, especially following the Territory’s destruction by hurricanes Irma and Maria in 2017. The OECS meeting will formally open on Thursday afternoon at which Premier Fahie is scheduled to speak alongside current Chairman and Prime Minister of St. Vincent and the Grenadines, Dr. Ralph Gonsalves. Premier Fahie will return to the Territory on Saturday March 16. Deputy Premier and Minister for Education, Culture, Youth Affairs, Fisheries and Agriculture Dr. the Honourable Natalio is acting as Premier in accordance with Section 55 (1) of the Virgin Islands Constitution Order, 2007.